Big Money And Backstabbing Have Become Part Of The Iowa Game : It's All Politics The hyperfocus on Iowa as the first presidential nominating contest has meant more money — and sometimes leaving allegiances behind — for consultants, who can make up to $10,000 a month. Ex-Iowa State Sen. Kent Sorenson defected from Michele Bachmann's campaign before the 2012 Iowa caucuses. In a 2014 plea deal, he admitted that he lied about payments from the Ron Paul campaign. In a small state like Iowa with so many presidential candidates on the ground, the homegrown political talent to support those campaigns is stretched thin. Joe Shannahan knows firsthand how tough the market for experienced political operatives is in the Hawkeye State these days. "This year, it's difficult to find staff, because there are so many campaigns," says Shannahan, a partner with LS2Group in Des Moines, a public relations firm that often hires former campaign workers from both parties. Good campaign staff can help make or break a fledgling presidential campaign in Iowa, where the hiring can start more than a year before the first-in-nation caucus, currently scheduled for Feb. 1. "I think anybody who's actually willing to go do the work — get on the phone — go see people and convince them to support your candidate," says Shannahan, who used to work for the Iowa Democratic Party. "That's what candidates are looking for." The most sought after staffers can command hefty salaries. Jeb Bush's Right to Rise superPAC paid more than $36,000 over a four-month period to the communications firm owned by David Kochel, the top Iowa adviser to the superPAC, according to the latest campaign-finance reports. And staffers' allegiances can shift to rival campaigns as quickly as poll numbers plummet. Last month, Sam Clovis, a conservative talk radio host, who was former Texas Gov. Rick Perry's top adviser in Iowa, jumped ship to Donald Trump's campaign. Perry, who called off his White House bid on Friday, had difficulty raising money — and paying staff — or mustering much enthusiasm from voters for his second bid. Sometimes, the tactics used to woo influential campaign supporters can go too far. Days before the 2012 caucuses, then-state Sen. Kent Sorenson, a Republican, defected as co-chairman of former Rep. Michele Bachmann's presidential campaign to take a post with Texas Rep. Ron Paul's campaign. Sorenson had deep ties to conservative communities that are important in GOP politics: the state's evangelical leaders and home-schooling activists. 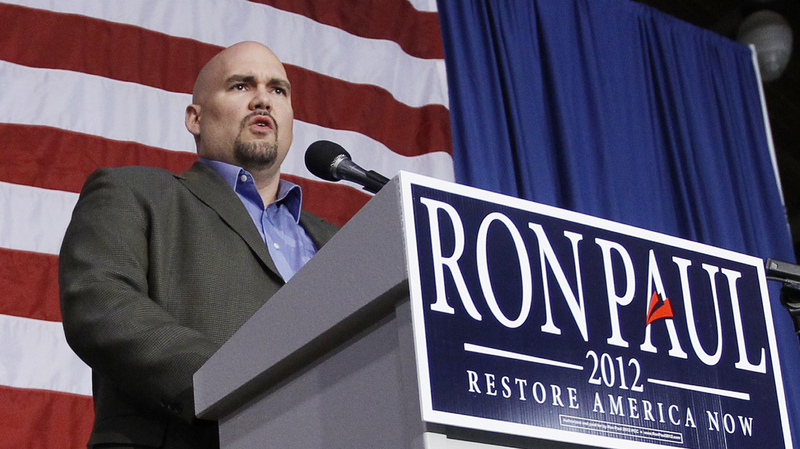 In separate investigations, both the FBI and Iowa Senate found that Sorenson and the Paul campaign had violated the law. Three Paul staffers were indicted last month for concealing payments of $73,000 to Sorenson in exchange for his support. Sorenson pleaded guilty and is awaiting sentencing. Craig Robinson, the editor of IowaRepublican.com and a former state GOP political director, said such defections make Iowa's political culture look unseemly to the rest of the country. "I just think it diminishes your endorsement when you seem so apt to jump around and not stick with a candidate from start to finish," Robinson said. Robinson worked on the unsuccessful 2000 Steve Forbes campaign and argues that the amount of money a campaign has or how much time it has spent in the state is more important than whom a consultant is supporting. "If you want to make an endorsement and be a mover and shaker," Robinson said, "then I think you should really stay with the one who you brought ya. Just kind of like the high school prom or something, make sure you go home with the one you took there."